Prices in USD, strongly prefer US buyers but message me anyway. Offers/Trades accepted. Don't waste my time. shipping overseas is expensive, and you will pay accordingly. know that going forward. Discogs listings also available. 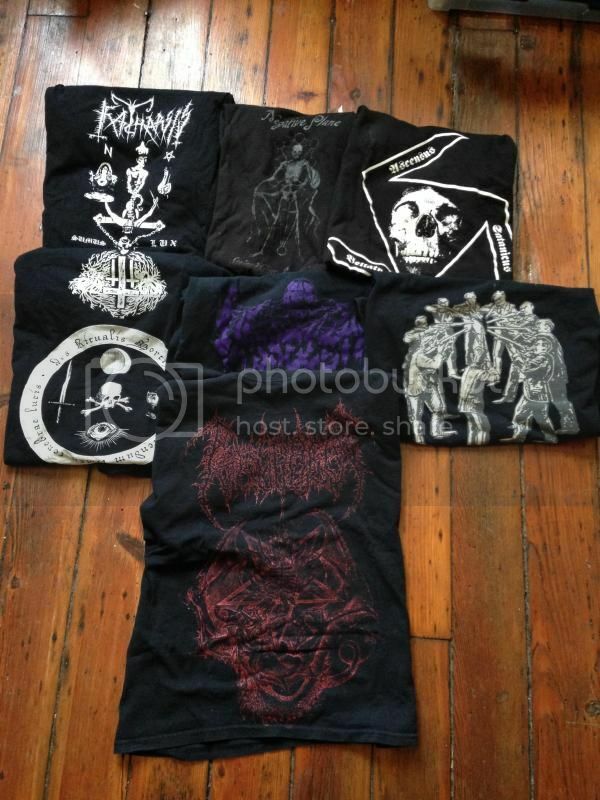 Can do business off of discogs in combination with shirts if wanted. I am interested in the NWN "Gunmen" and Sortilegia t-shirts, and I would like to ask you what are the measurements (armpit to armpit).